Candle Making at Russian Hill! 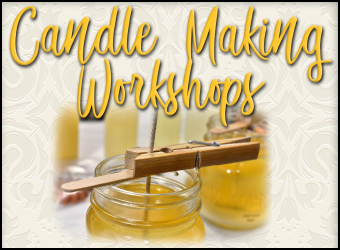 Learn how easy it is to make your own candles at our hands-on workshop! Create homemade gifts for the holidays or party favors for a wedding. We will go through the technique step by step and everyone will leave with an aromatic candle. Of course, wine will be flowing, so please join us. All supplies are included in the workshop.